No one has ever been positively identified as a model for the face of Lady Liberty on the obverse side of the coin. It was suggested at the time that Longacre had used his daughter Sarah as the model, but Longacre and the Mint denied that story. Longacre said that his depictions of Lady Liberty over the years were all mostly based on a statue of Venus that had been loaned to a Philadelphia museum by the Vatican. The three cent nickel is composed of 25% nickel and 75% copper. The three cent nickel weighs 1.9 grams and is 17.9 millimeters (just over seven-tenths of an inch) in diameter. 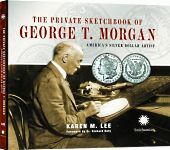 It was larger than the three cent silver coin, which had been widely criticized because of its tiny size. 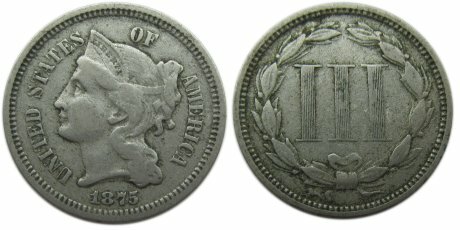 Over thirty-one million three cent nickels were minted over a twenty-five year period, starting in 1865 and ending in 1889. Philadelphia was the only Mint to produce three cent nickels. Filed under Coin Quick Facts, Three Cent Nickel.